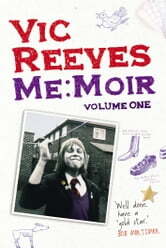 Vic Reeves' vivid, enchanting, and utterly hilarious childhood memoir is a comic masterpiece. Before there was Vic Reeves, there was a boy called James Moir who was much the same as any other lad.Obsessed with owning a pet crow, a master at writing his name and terrified of his father's immense moustache. Growing up in Yorkshire and then CountyDurham, the boy who would be Reeves somehow managed to escape the attentions of 'Randy Mandy' and get a crash course in pig castration, before having encounters with Jimi Hendrix and the Yorkshire Ripper. Peopled with weird and wonderful characters, Vic Reeves' memoir is authentic, witty and inventive, and as unique as you'd expect from one of Britain's most exceptional comedy talents. What the F*** Did I Do Last Night?